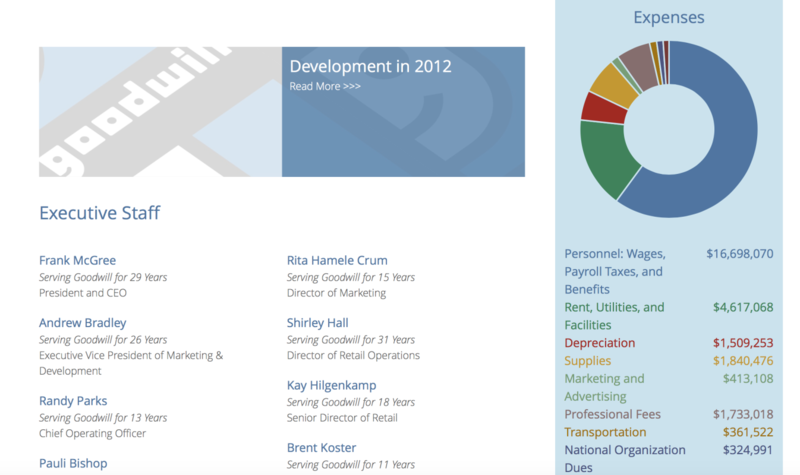 GoodWill of Omaha’s website was outdated and built on a clunky PHP framework that no one at their offices knew how to update. We wanted to save them time and headaches, and give their users access to the content they wanted. The old Goodwill website was beginning to show its age. Built on an outdated PHP framework, the site made user editing difficult and slow. As a result, content remained static and the sole responsibility of the technologically initiated. The site was not mobile friendly, did not capitalize on location data from phones and PC’s for finding a nearby store. Most importantly, it didn't communicate the breadth of services our local Goodwill was offering. 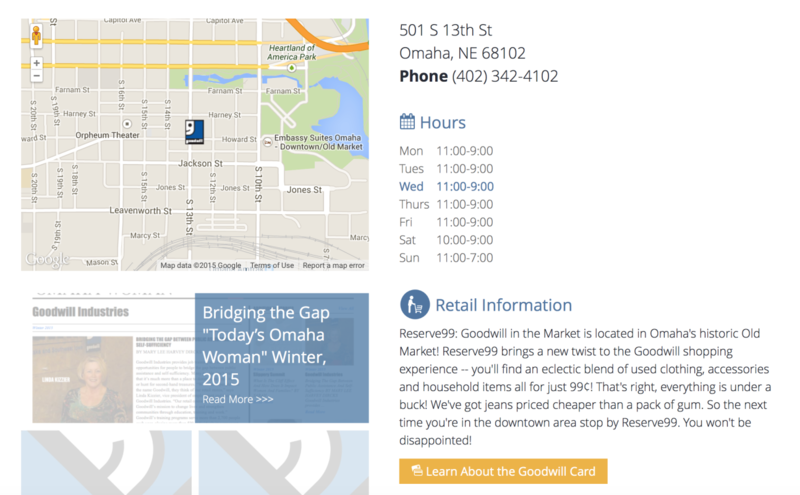 The location page for each and every Goodwill location in the Omaha area. The page automatically checks for the day of the week then highlights the hours for today. And if they need to update the content? No problem. 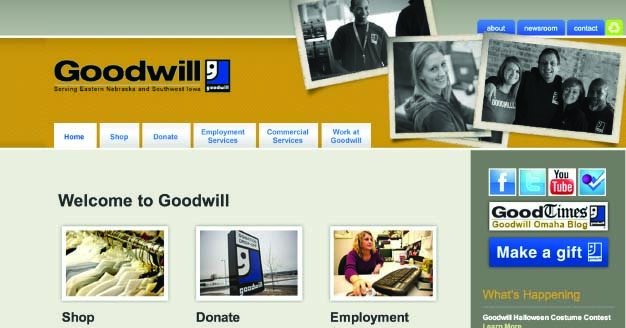 GoodWill Omaha's old website. Content was static and 90% of visitors wanted to see nearby stores, so we made that as simple as possible. Every year they build an annual report for their board and community. Each year, one of their employees spends months building it. We built a system that dynamically grabs content they already made during the year and automatically generates a new annual report for them. We wanted to promote services that people didn't know about, while giving them easy access to what they probably wanted (to find a location). 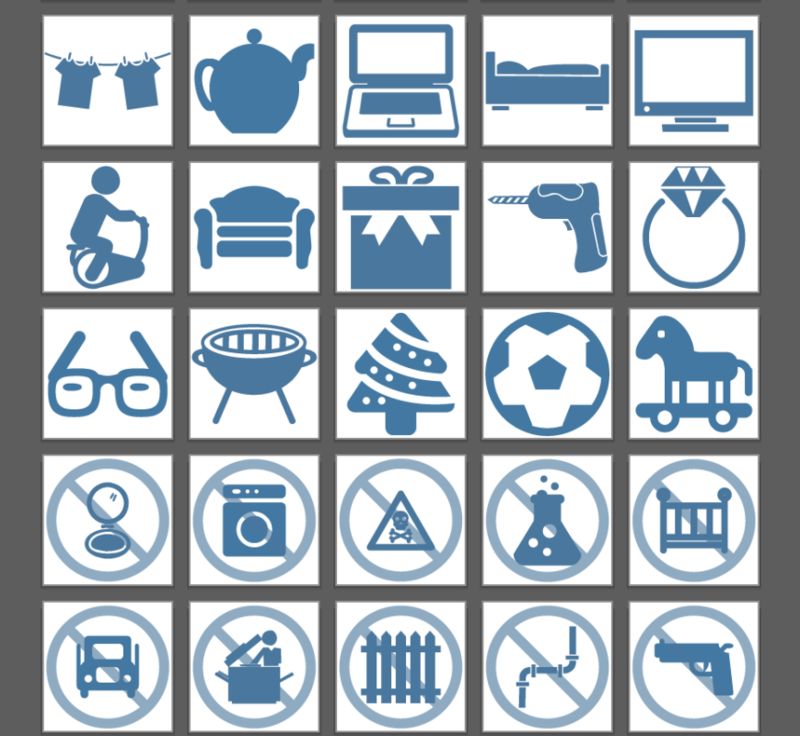 So much of Goodwill's old content did not include images. 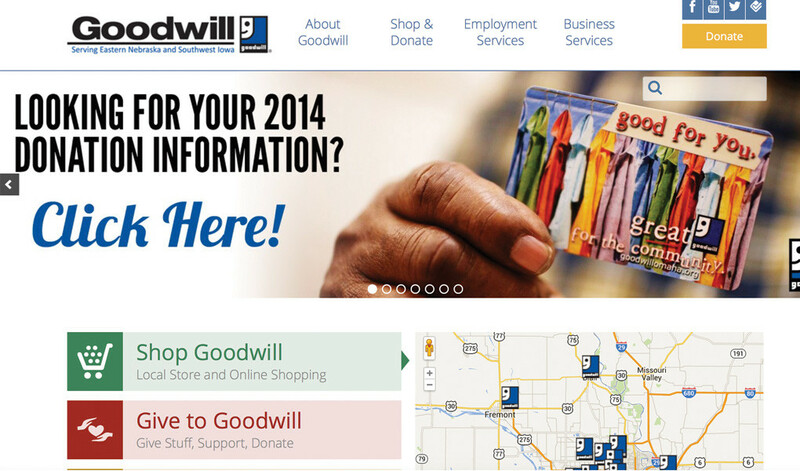 Because our new site was highly visible, we wanted to capitalize on all the graphic-oriented spaces on the page and still maintain a strong branding identity for Goodwill on the page. For this, we created a series of custom placeholder images that allowed us to keep spacing and interaction consistent from page to page. This video tells the story of Billie Brooks. A high school dropout, Billie had always dreamed of getting a degree and earning a better life for herself and her family. She saw an ad in the paper and called inquiring about a program at Goodwill called "Customer Connect." Filmed over the course of a few days and dropping in on several Goodwill courses, the video is narrated by Billie Brooks herself using a unique call and repeat scripting technique.